One of the goals of the Randolph Community Forest’s Forest Plan is to support traditional uses on the Forest. 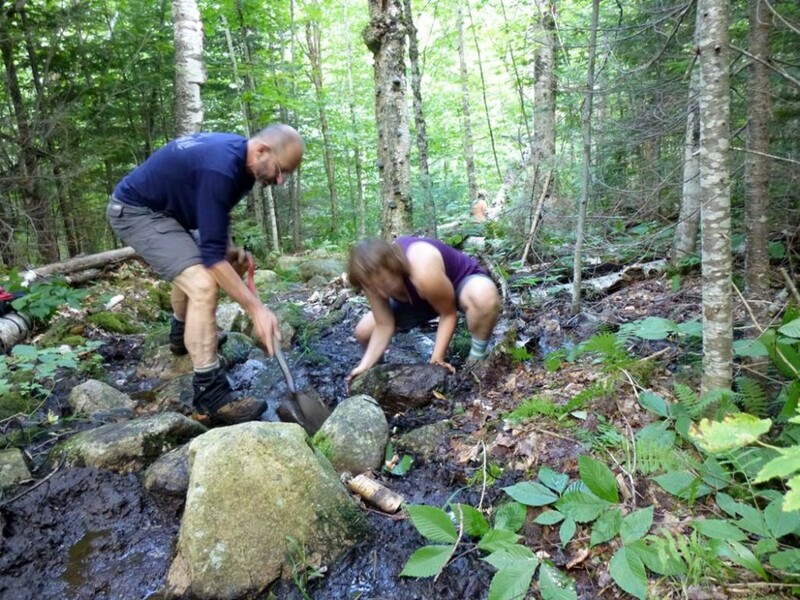 To that end, the stewardship plan provides for designated activity managers– groups, formal or informal– who are responsible for particular activities on the Forest. One of those is the venerable Randolph Mountain Club, which maintains nearly 30 miles of hiking trails on the Randolph Community Forest. Their trail maintenance efforts are carried out through the hard work of an 8-member seasonal trail crew, and countless volunteers. Here are a few photos of a recent trail work day on RMC’s Cook Path. Volunteers cleaned drainages and set rock step stones. 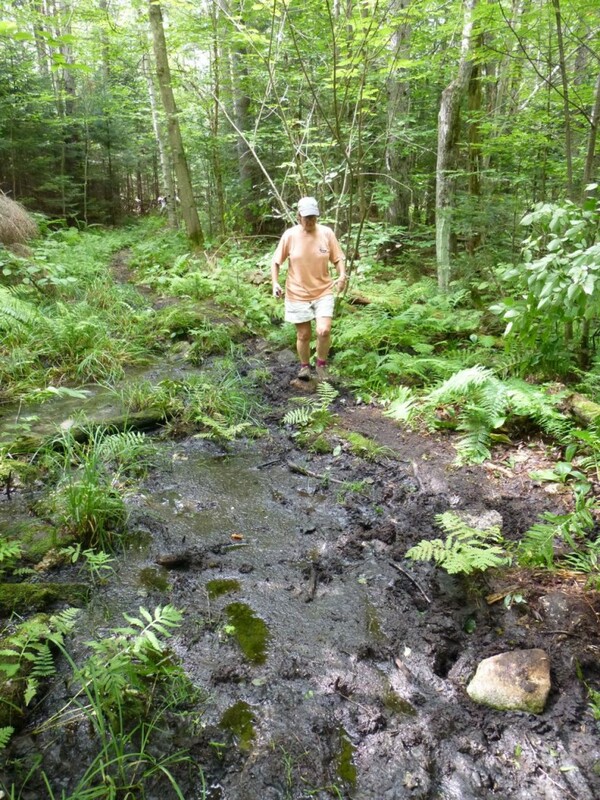 The drainages remove water from the trail, preventing erosion. The step stones keep hikers on the trail, so fragile wet areas aren’t widened by hiker traffic. If you’d like to volunteer with the RMC, you can find more information here. RMC Board Member Michele Cormier tests out a new step stone.